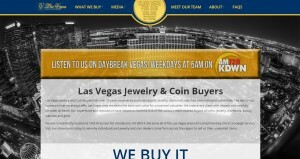 Las Vegas Jewelry and Coin Buyers address, phone, website, hours of operation, and more. Las Vegas Jewelry and Coin Buyers has over 20 years experience purchasing gold, jewelry, diamonds, watches, rare coins and collectibles. 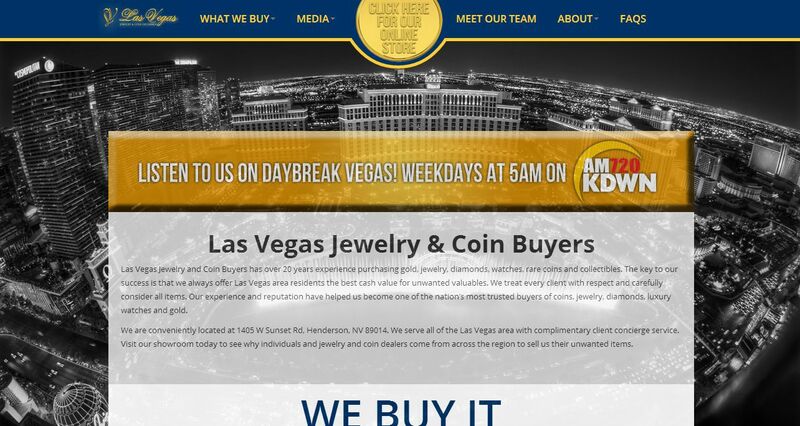 The key to our success is that we always offer Las Vegas area residents the best cash value for unwanted valuables. We treat every client with respect and carefully consider all items. Our experience and reputation have helped us become one of the nation’s most trusted buyers of coins, jewelry, diamonds, luxury watches and gold. We are conveniently located at 1405 W Sunset Rd, Henderson, NV 89014. We serve all of the Las Vegas area with complimentary client concierge service. Visit our showroom today to see why individuals and jewelry and coin dealers come from across the region to sell us their unwanted items.